I was thinking about peace, especially the idea of "peace time"—that is, the time when there are no violent conflicts in which we're directly engaged. 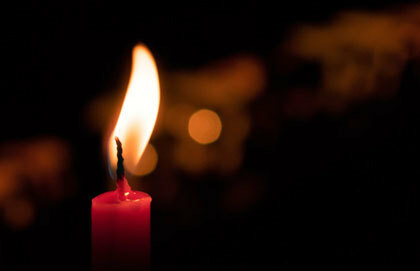 Yesterday was the second Sunday of Advent, and the candle we light that day stands for peace. I was thinking about peace, especially the idea of "peace time"—that is, the time when there are no violent conflicts in which we're directly engaged. To be honest, I don't know if we're in peace time or not down here in the U.S.—and not just because of the conflicts we're engaged in around the world, but because, well, there's a lot of unrest here. A state of harmony characterized by the lack of violent conflict. Commonly understood as the absence of hostility, peace also suggests the existence of healthy or newly healed interpersonal or international relationships, prosperity in matters of social or economic welfare, the establishment of equality, and a working political order that serves the true interests of all. In international relations, peacetime is not only the absence of war or conflict, but also the presence of cultural and economic understanding and unity. We can also make the bold claim that there is such a thing as "the good society," in which peace and justice reign. Peace, as St. Augustine says, is more than simply the absence of war. Comfort, O comfort my people, says your God. Speak tenderly to Jerusalem, and cry out to her that she has served her term, that her penalty is paid, that she has received from the Lord's hand double for all her sins . . . Every valley shall be lifted up, and every mountain and hill be made low; the uneven ground shall become level, and the rough places a plain. The glory of the Lord shall be revealed, and all people shall see it together, for the mouth of the Lord has spoken it.